Grab My New 362-Page eBook for Free! detailed Health Plans for 240 Conditions. 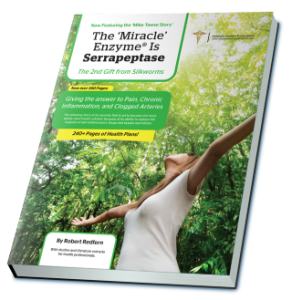 Read all about Serrapeptase, including: the history, the studies, why it is called The ‘Miracle’ Enzyme, how it helps the body naturally heal itself and most importantly, how it can benefit you.